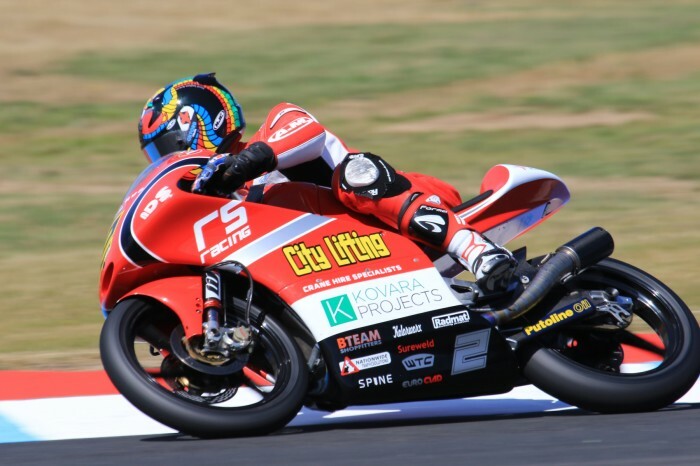 Team City Lifting’s Jake Archer has been given a wildcard entry to take part in this year’s GoPro British Moto3 Grand Prix at Silverstone in August. Jake Archer is currently in good form at the Hel Performance British Motostar Championship after winning five of the six races so far this season and leading by 45 points. This prestigious event on the MotoGP calendar is planned to take place over the bank holiday weekend in August. It will be Archer’s second year wildcarding at Silverstone, although he will be hoping for a better ride than last year where mechanical issues caused him to drop out of the race early. The MotoGP event will see him racing against the best Moto3 riders in the world and will be a very tough challenge. “’I’m really pleased to have another opportunity to race at the top level,” said Archer who will be racing as part of his usual City Lifting team.